A huge fire broke out in a 22-storey building in the Bangladeshi capital of Dhaka on Thursday, killing at least 19 people and wounding 73, according to police. Videos shared on social media on Thursday showed people attempting to escape the flames by edging down a precarious rope on the outside of the building. Authorities said that six people died as a result of falling. The FR Tower building, situated in the Banani district of Dhaka, reportedly consists of offices and a restaurant. 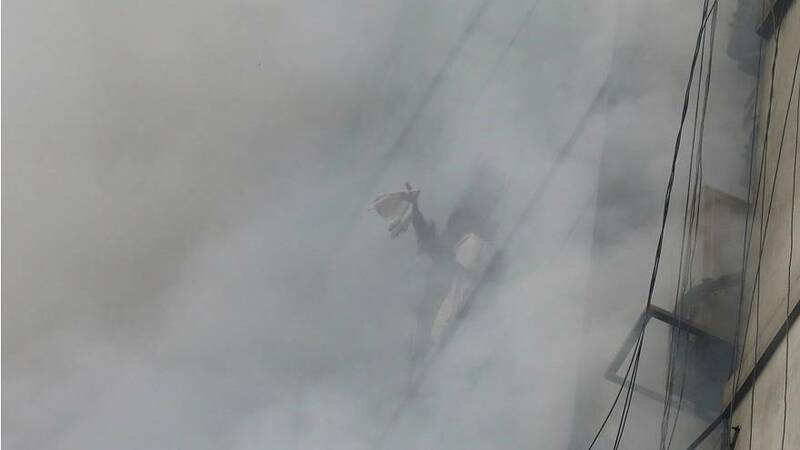 Several people trapped inside the building posted pictures to social media showing people covering their faces to escape the smoke-filled interior. AFP reported people seeing others calling for help inside the building several hours after the blaze started. Helicopters joined 22 firefighting units that worked with the army, navy, air force and police to battle the blaze as smoke billowed into the sky. The causes of the deadly fire are unknown at this stage. The blaze comes a month after a massive inferno killed 71 people in an old neighbourhood of the city. Critics at the time blamed poor enforcement of safety regulations in one of the world's most densely packed cities.